An MBA resume, on the other hand, should provide evidence that you have been successful and demonstrated leadership. You are selling your future potential. 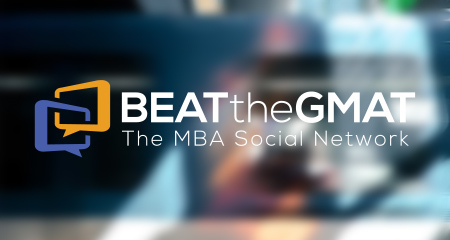 After years of detailing your specific technical and industry expertise, you may be wondering HOW you should develop your MBA resume. To guide you, we have outlined our four top tips, based on the mistakes that we see again and again. Bonus, by focusing on your resume NOW, you will have one less thing to do when essay questions are released this spring and summer. Too often I read resume bullets that list a candidate’s tasks and responsibilities. This might be great for proving you can do a specific job, but it does nothing to differentiate you from other applicants. Anyone in your role could copy and paste these bullets from the job description. Admissions committee members do not need to know each detail of your job and what specifically it entails. Instead, think about your key accomplishments and highlights. What initiatives did you lead? What projects did you succeed in? How did you go above and beyond in your role? How did you excel, particularly in relation to your peers? Focus on the highlights. It is ok to leave out some things you worked on, especially if they would not sound impressive to someone outside of your company or industry. 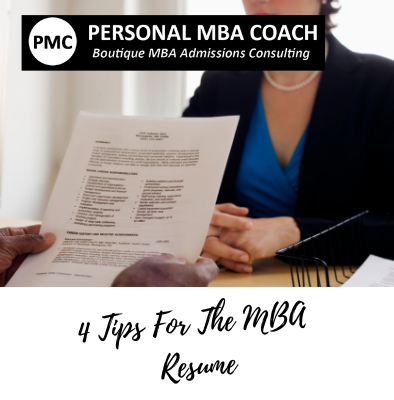 Learnings, takeaways and results are the most important items to include in your business school resume. This can and should include both personal growth over time and your impact on business performance. The more specific and measurable your results are, the better. Think of items such as increased performance 30% over previous year or drove $1M in new business through x, y, z. While it may be crucial in your current role that you are an expert in SQL, this will be much less interesting to admissions committee members. Instead of detailing the technical skills you have amassed, focus on the transferable skills you have developed. Share how you have emerged as a leader. Leadership can come in multiple forms so even if you have not managed a team or a project (if you have, include this!) there are many ways to demonstrate leadership. Teamwork and communication are other important skills to include. As you select professional strengths to share, prioritize those that are relevant to many industries, such as analysis, strategic thinking or research. These will be much more compelling in convincing the reader that you can excel in business school and beyond.